I spent last night dyeing Easter eggs with some of my friends. 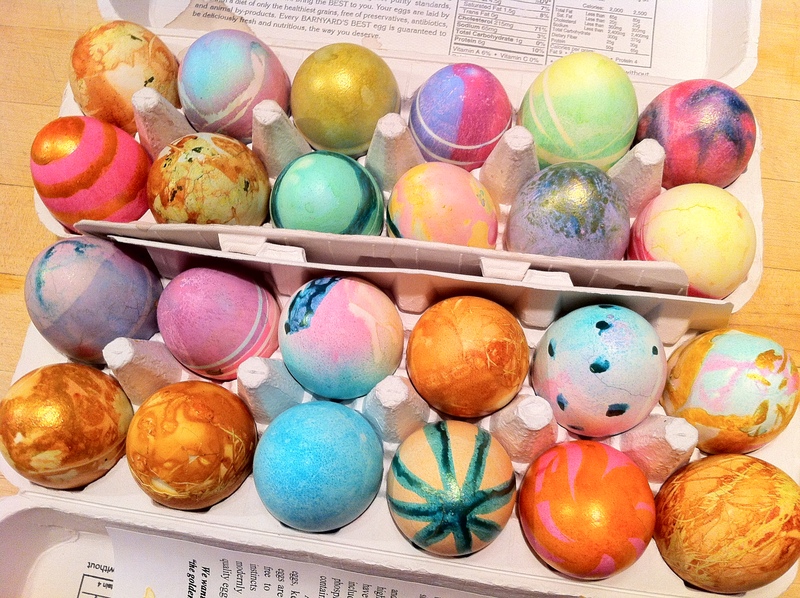 My friend Janeen had a bunch of different egg dyeing kits that we used. 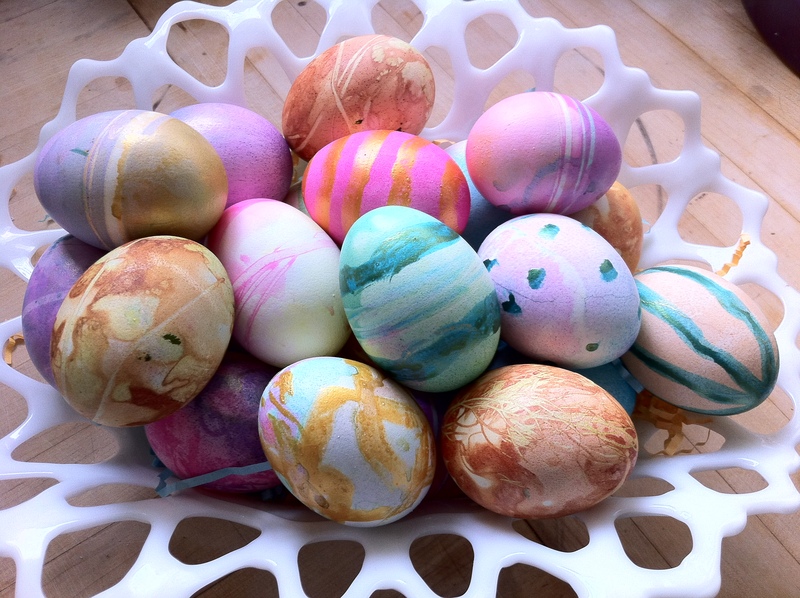 I also wanted to try some natural egg dyes, like onion skins and purple cabbage. 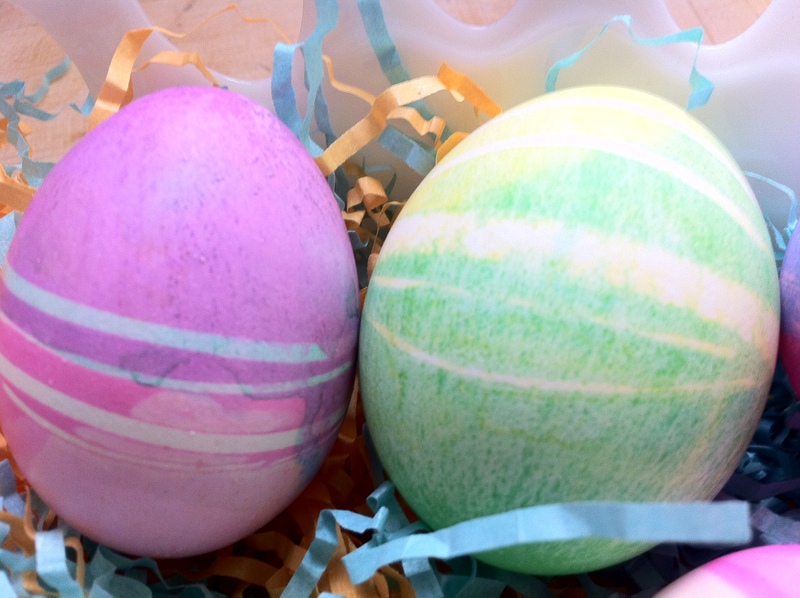 Here’s our eggs we dyed with onion skins. they came out with some pretty neat patterns. We use fennel fronds and cilantro to make patterns by placing them between the egg and the onion skin. 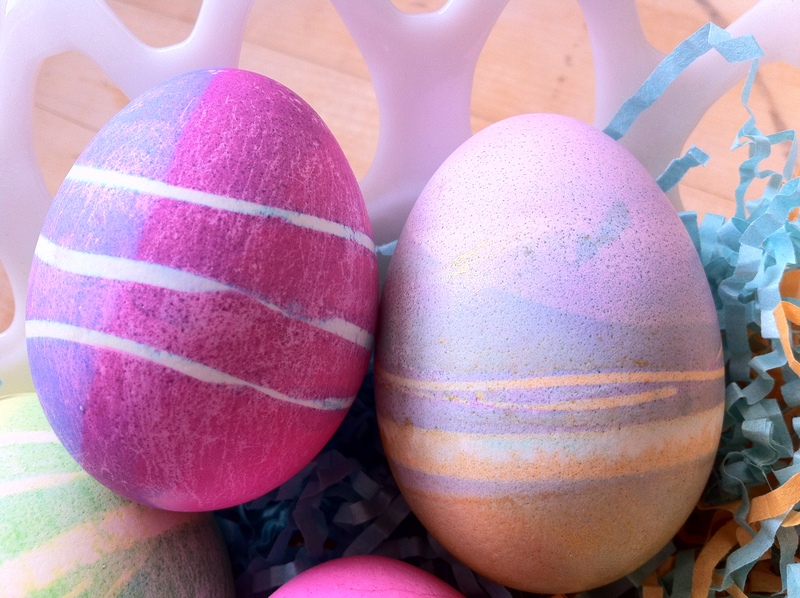 Here’s a link to give you some more specific instructions on how to use onion skins and other natural dyes to color eggs. We didn’t get to use the purple cabbage. I’m saving that one for next year. 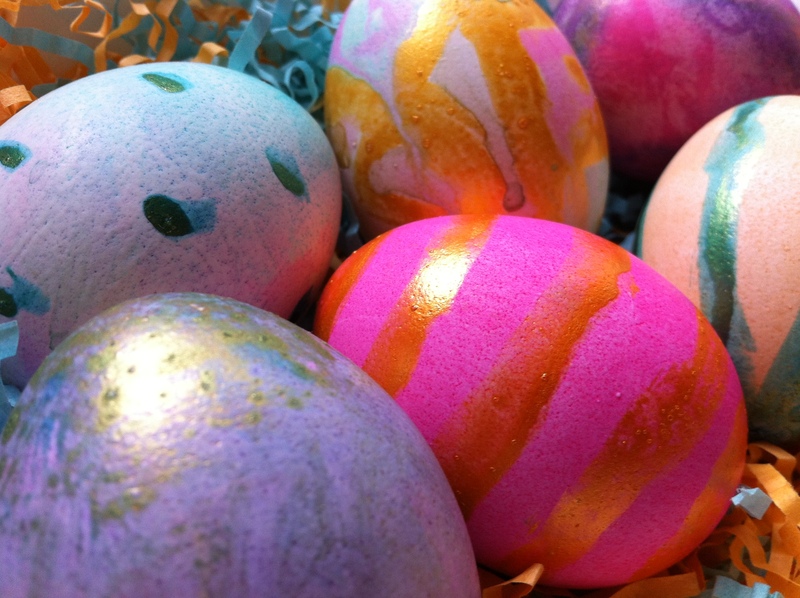 Over all, I really like the mix of patterns and colors that are in my egg display this year. There is no way we are going to be able to eat all of these beauties this week so I intend to pickle a bunch of them! 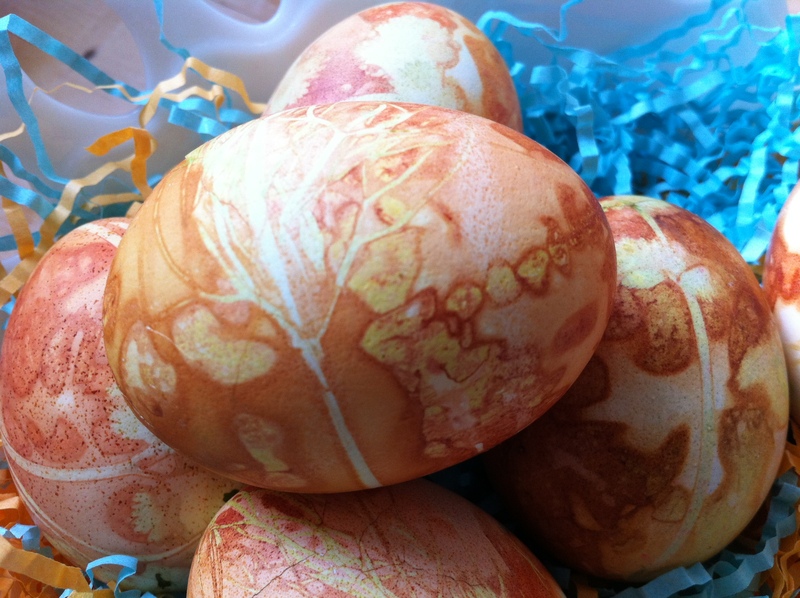 I followed this night of dyeing eggs with a great baked egg breakfast. 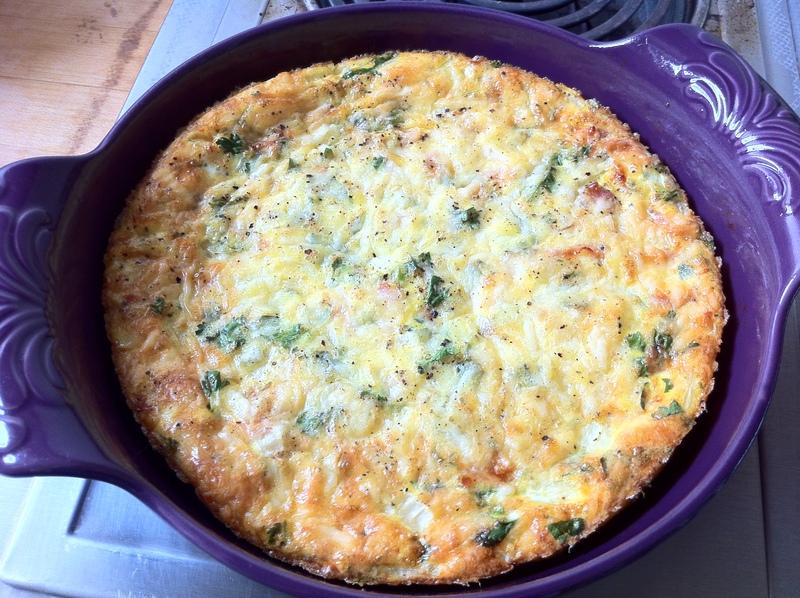 I made my favorite frittata with a big salad made with local early spring greens. Scramble 8 eggs with 1/4 cup of light cream and season with salt and pepper. 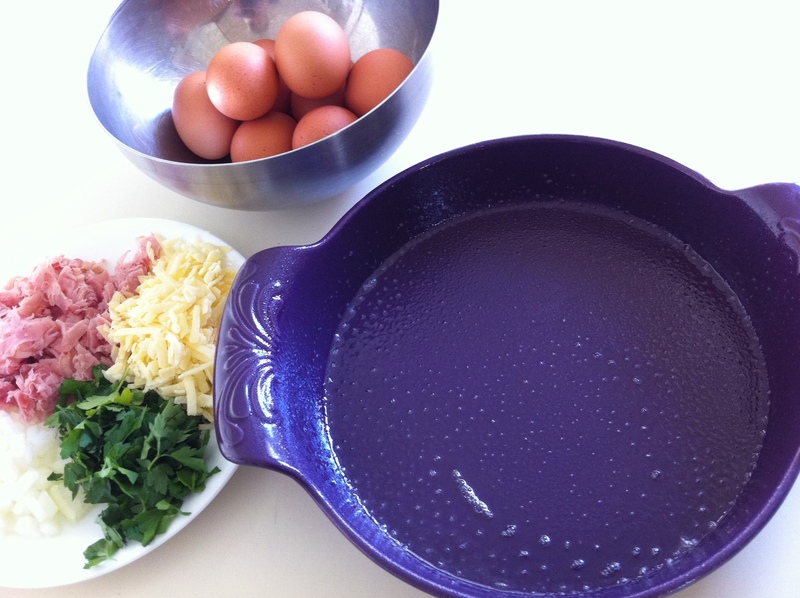 Mix in 1/2 cup grated Gruyère cheese, 1/2 chopped ham, 1/4 chopped parsley, and 1/4 cup minced sweet onion. Pour it all into a baking dish (sprayed with non-stick spray) and bake at 350 degrees for about 20 minutes (until the center is firm). 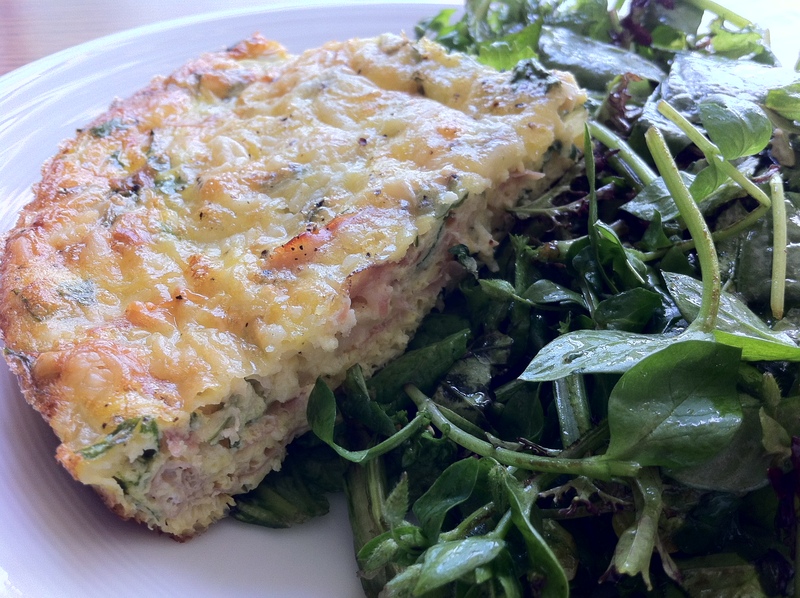 A delicious and easy brunch to start off the day! If you’re lucky enough to have tomorrow off, give this recipe a whirl! It is also great to make and put in the refrigerator. It heats up in the microwave just fine so it makes a great quick breakfast.